When roasting a bird on the grill, do not leave it. Especially not for 10 minutes. Even if the grill is off. 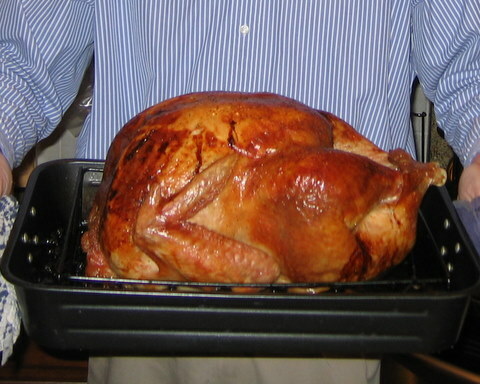 and your delicious Thanksgiving bird will not look like this. 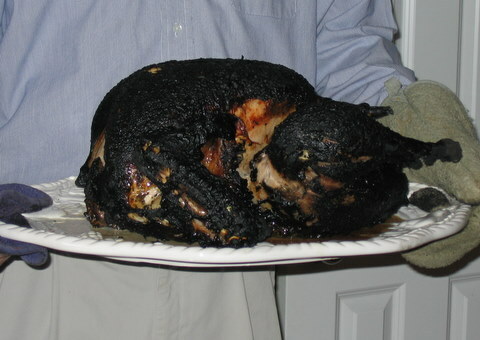 Some may call that Blackened Turkey! Ayeeeeeee! oh no .. is that YOUR pic or just a "this is what can happen" pic ??? please tell me that didn't happen to you .. we don't celebrate Thanksgiving here and usually roast chickens for Christmas, BUT I have heard those big Turkeys take FOREVER to cook .. hope that you had a wonderful day !!! LOL! yes, that was a real turkey incident that happened two years ago. And it really did happen in the last 10 minutes of cooking. The grill was in flames! Luckily we had cooked an extra turkey breast in the oven so Thanksgiving dinner still happened. It aint that bad T. An hour for every 4 pounds of bird!